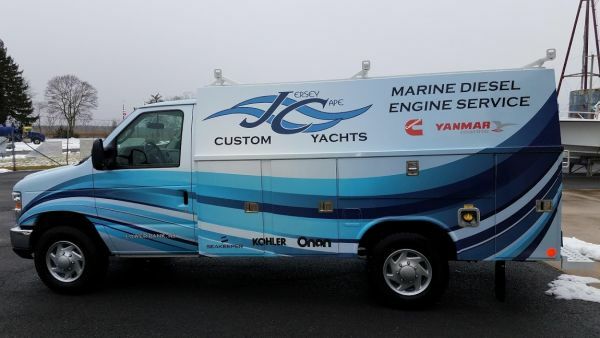 Jersey Cape offers a complete line of Yachts – Express and Convertible Sportfishing and Sport Yachts as well as a center console model. For most of our customers, the build process is as exciting as launch day. At Jersey Cape, we maintain an open door policy. You are welcome at the plant at any time, during any stage of construction. Each Jersey Cape is built to suit your needs and we strive to exceed your expectations at every visit. A full service facility - offering Winter and Hurricane storage programs and a full stockroom of parts. 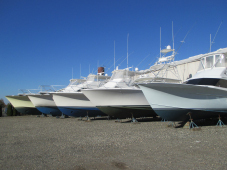 As a boat manufacturing facility, we&apos;ll have everything you could possibly need! Watch for her out in the Canyons!! Schedule a quick service while your gone. 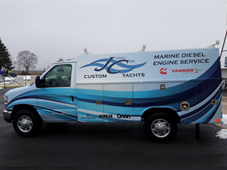 Contact Jersey Cape about our pre-paid Hurricane Program to receive priority haul-out in the event of a Storm. Our 2019 program contract will be available prior to the next Hurricane Season. Join our mailing list for reminders! Follow Jersey Cape Yachts on social media for the latest yacht listings, events, projects, and company news.